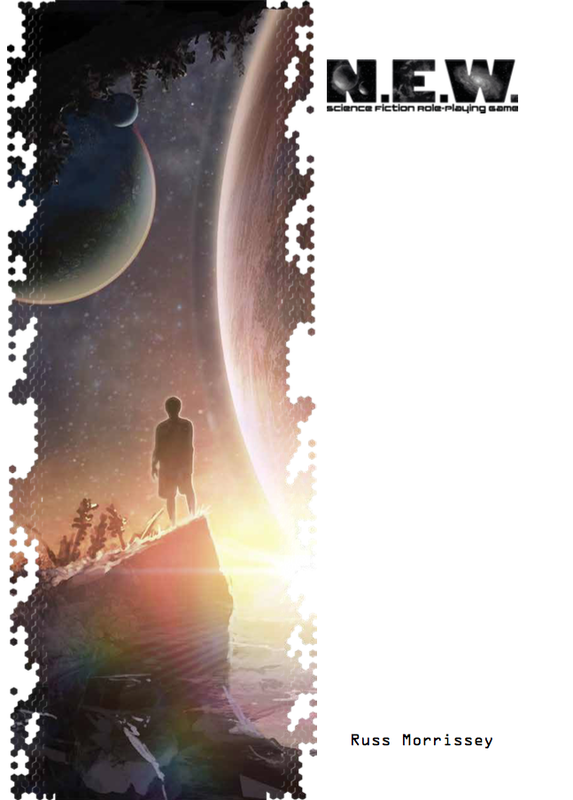 Are you looking for a new sci-fi RPG to play with your gaming group? Well, EN Publishing might have just what you're looking for with their N.E.W. 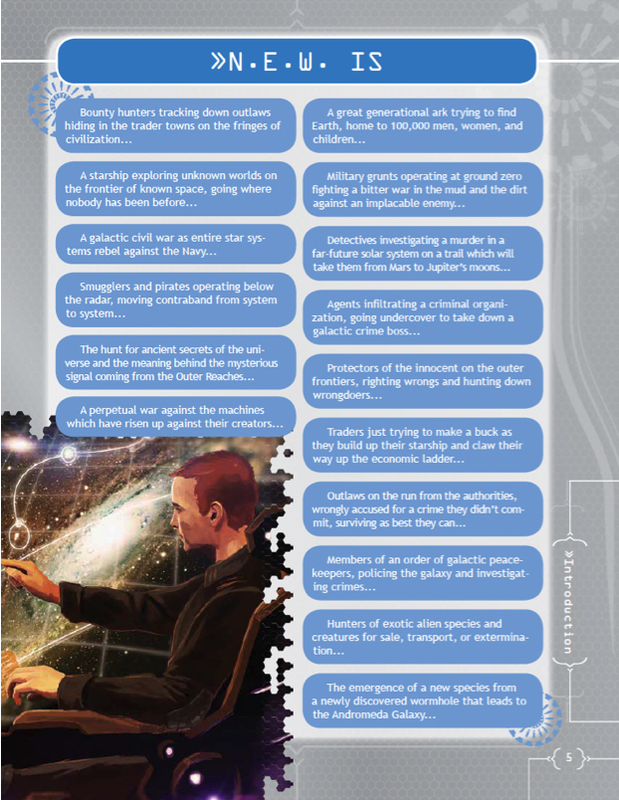 sci-fi RPG (for you literalists in the audience). It's always good to see Kickstarter campaigns not only fund, and not only ship, but then be available for the general public. That's just what we've got here. Backers have their versions. Now it's ready for those that didn't pledge. The N.E.W. game uses the WOIN game system (which stands for What's OLD is NEW). The rules allow you to play sci-fi games of just about any format you might want. Do you want to be an exploration team looking for new habitable planets? Check. Perhaps you're a group of intergalactic bounty hunters. 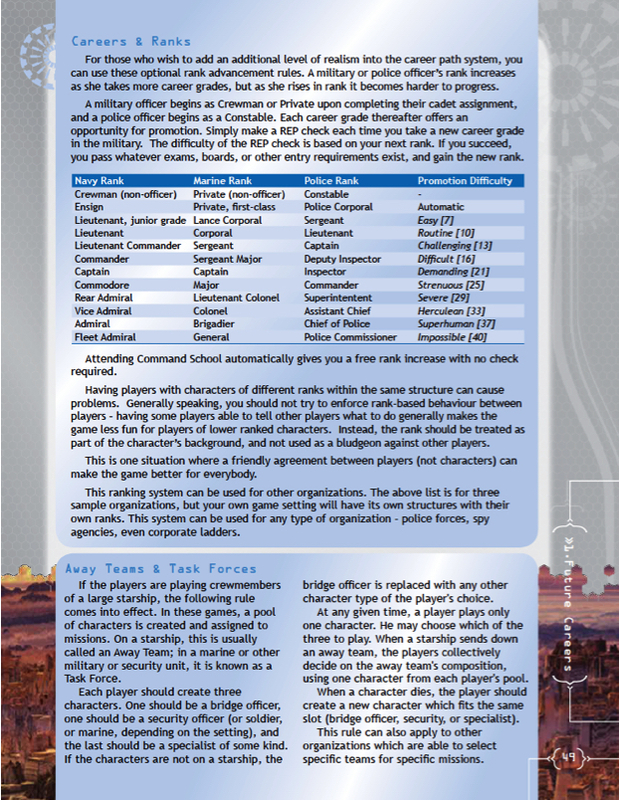 Want to play a huge, galaxy-wide combat campaign as the whole place breaks into a civil war? You can do that. There's plenty of alien species to interact with (or play as). Along with that, there's over 60 careers you can choose for your character. Space wouldn't be very easy to explore without a large amount of gear, and that's certainly included in the book as well. It's also a one-book sort of game, with the rules for running the game included. That also has things like starship combat rules, space exploration and travel, as well as rules for building planets, races, and other such things on your own.